Clayton’s journey began in Austin, Texas in the year that MTV debuted. As a child, his parents would wake him in the morning to the sounds of Willie Nelson’s, “Red Headed Stranger”, which is one of the greatest albums ever made. He stayed in Austin throughout his awkward grade school, high school, and college years. He graduated from The University of Texas at Austin with a BA in American Studies, which he has to explain to everyone what that is. During college, he met Megan whom he later tricked into marrying him. Together they parent Brooks & Reed, who are both brothers and a burgeoning crime-fighting team. 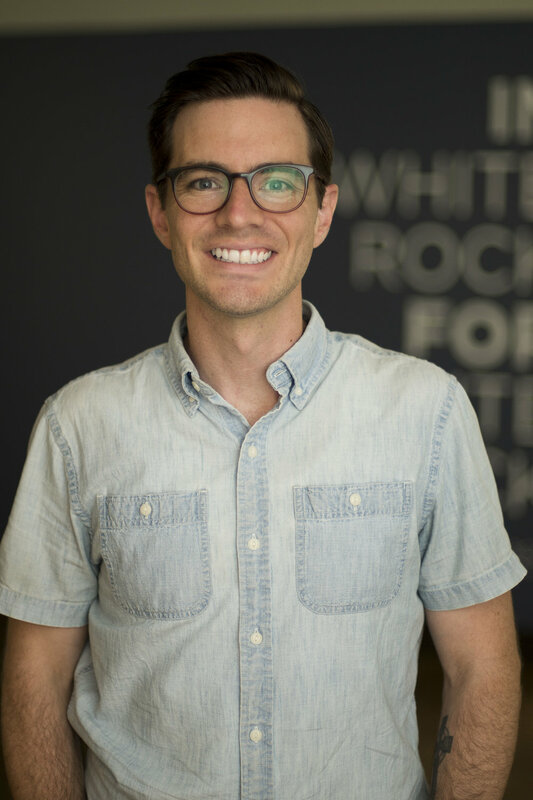 Since the fall of 2013 they have lived in East Dallas, where Clayton serves at White Rock Fellowship as the Pastor of Worship and Local Mission. He has a heart to help everyone use their creativity to honor God by participating in the work of creation, and loves to hear a room full of people sing loudly. In the future, Clayton will learn to play pedal steel guitar and get paid in food and drink for playing honky-tonk music. Currently, he enjoys porch-sitting, accordion music, and has a special place in his heart for a sad, sad song.